Port Authority installs BlipTrack to offer TSA and taxi wait-times information in real-time. Credit: Doug Letterman. 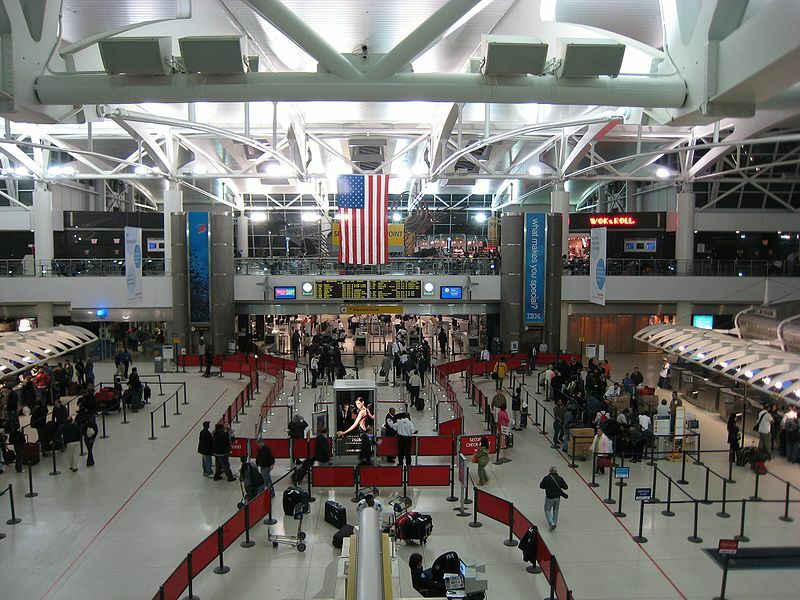 The Port Authority of New York and New Jersey (PANYNJ) has launched its new real-time tracking information services at four airports it manages. The new service allows passengers to get up-to-date Transportation Security Administration (TSA) and taxi wait times information on the Port Authority’s respective airport websites. It is currently available on airport websites and terminal monitors for passengers travelling to John F Kennedy International (JFK), Newark Liberty International (EWR), LaGuardia (LGA), and New York Stewart International (SWF) airports. In partnership with the TSA and other agency partners, the Port Authority has deployed a real-time measurement tool known as BlipTrack. The tool helps in monitoring and exhibiting wait times at TSA checkpoint screening areas and taxi stands. Port Authority Chairman Kevin O’Toole said: “We are focused on enhancing the customer experience at our airports by providing this critical information. TSA wait times at LaGuardia’s Terminals C and D started functioning on the LGA website this month, becoming the latest terminals to be activated. The launch of the tracking system started in a phased manner in late November with all 14 terminals across the four airports currently offering the service, excluding United Airline’s Terminal C at Newark Liberty, which expects the system to go live later this year. Port Authority executive director Rick Cotton said: “With this real-time data posted on each of the airport’s websites, wait times are now readily available to help reduce passenger stress and enable travellers to plan based on the wait times they will encounter. The Port Authority said that the new technology allows passengers to make informed decisions about ground transportation while also helping the airport to identify taxi shortages and bottlenecks.